Find hotel near St Nicholas Church, Alces ..
To experience a wonderful time in a spiritual institution, you can ideally pay a visit to the St Nicholas Church. It is a famous parish church that offers conventional church services to all. The church offers services such as robed choir, hymns and organ along with family services on Sundays. You can plan a trip to this church aiming the St Nicholas Night. On this occasion, the church authority plans Classic parades of boy bishops and vintage vehicles, Musical events, Fireworks extravaganza and much more. The church looks outstanding with decoration and lighting and the whole surrounding looks vibrant as a whole. 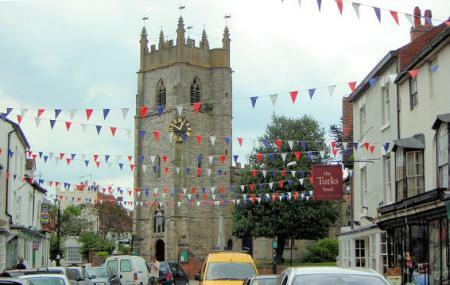 Use Alcester trip planner to visit St Nicholas Church, Alcester and many others to your visit. Oomph up your visit by adding the best hotels in Alcester like The Bulls Head Inkberrow, Meadow Farm By MarstonÃ¢€™s Inns and Peace Haven Holiday Lets. Generate executable plans on your own or book the top rated Alcester vacation packages for your visit. Read more on how to reach Alcester. Love this? Explore the entire list of places to visit in Alcester before you plan your trip. Fancy a good night's sleep after a tiring day? Check out where to stay in Alcester and book an accommodation of your choice. I have enjoyed your kindness and friendship during my visit to Alcester during the 2019 Easter season. My heart is warmed by your friendship and sharing of the love of Jesus Christ with my family and with me. May God continue to bless this church and it’s parishioners richly. Faye Edmondson, Alabama. 13th Century with later work, especially 18th Century rebuild. Some nice monuments.